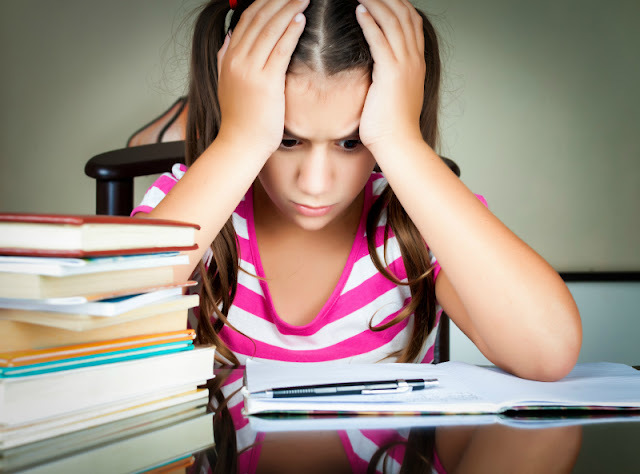 Do gifted kids need help in school? Of course, they do! In this post I am going to share how we worked with school last year, what worked, and what did not work. Why Advocate For Gifted Children? Let’s start with definition of advocacy. Advocacy is defined as any action that speaks in favor of, recommends, argues for a cause, supports or defends, or pleads on behalf of others. Some parents (ourselves included) feel sort of awkward asking for “special services” for their children. After all, here in America, where we so value our individuality, we send our children to schools where they are all expected to be educated the same. It’s funny to see how we single out and support talented athletes or singers, while it’s completely OK to let a talented young writer “write a paragraph” or to have a talented mathematician do boring math facts. It’s mostly up to a teacher to provide “differentiation in the classroom” and let’s just say that some teachers are better at that than others. This is why parents need to speak up – first to the teacher, and then go higher. Where do you start? I wrote a post What to Do When You Child Is Bored in School? last year for The Imagination Soup, and I will summarize the main points here, since now we have some distance between events and see better what worked and what didn’t. C – Craft your desired outcome. One mistake that we did early in our advocacy efforts was not being clear with the second grade teacher about what it was that we wanted. So she went with an “interesting” approach to differentiation. She told Smarty and another gifted boy in her class that they could no longer read after finishing their regular second grade tasks early. Instead, they had to choose harder worksheets that appeared very random. We certainly learned from this experience to ask for more specific things in the future. A – Assemble your evidence. We did not do a private testing for our daughter, but our school uses STAR testing to assess students’ reading skills, and we were given results showing that our second grader is reading on the level of 10th grade. We also asked school to test her specifically in her math knowledge, because we knew that she was significantly ahead of second grade. Unfortunately that took forever (2 months to “find time” to give her these tests), and she ended up with “advanced knowledge” for fourth grade math while she was still in the middle of second grade. These efforts were not in vain – when we finally met with our school principal, she was very honest with us and said, I had no idea previously that your daughter was so advanced. I admit that I felt somewhat betrayed at that point by our K-1 teacher who was wonderful and was “getting” Smarty, but clearly failed to communicate her knowledge to the next grade teacher or to school administration. So, in other words, I do recommend testing your child if you think it will make a difference in the services available to him or her. I am still not recommending testing just for the sake to get a “gifted crown”, but it’s the subject for another post. L – Learn your rights and consider your options. My parents had it easy. The former Soviet Union understood that it’s important to support academically strong students, and we had many schools in my city of birth Minsk which had “focus” on specific subjects. I spent all my school years in a school for mathematically gifted. Alas, here in US every state and sometimes every school district have their own policy for supporting gifted students. Check out yours in Gifted Educational Policies database. M – Meet with your teacher first. It’s a common courtesy and, if you are lucky, you don’t need to take your advocacy further unless you want some serious changes in the way gifted education is handled in your district. D – Don’t wait. That was another mistake that we made last year – waiting for three months before we started bringing up our concerns. The last straw was when our 7 year old daughter said one day, I am now like everyone else. I don’t like school and can’t wait for summer break. O – Offer help. Last year I ended up having a small math group for several kids in Smarty’s class once a week, but only after I have spent the other 7 months of volunteering passing papers. I certainly wish that I were braver last year offering to do something more meaningful earlier. I really like how our third grade teacher uses parental help this year – we supervise and check independent work and help kids who need help in their tasks. Volunteering in the classroom is a great way to get a better perspective of your child’s academic strengths and weaknesses and of group dynamics, so you can help your child with any social or academic challenges he or she might have. N – Next steps. All our conversations in school were positive, but the weakness was in the “follow up”, which our second grade teacher was unable or unwilling to do. Unfortunately, by the time we got to actionable next steps, we only had about two months of a school year left anyway. Just as in work projects, it really helps when all “stakeholders” are clear on “what, where, when” steps on the road to a better academic experience for our children. I admit that last year we were really frustrated with the situation, but in one of the comments in my original post a more experienced parent had recommended to keep talking to school administration and not to lose hope. She was right. We discussed several options with a principal and were offered a grade skip. My husband and I discussed it at length and decided against it, because we want Smarty to enjoy her childhood longer. This year she is in the stronger third grade class with a wonderful teacher who seems quite adept in differentiating students. She is also involved in a number of extra-curricular activities (sports and music) that challenge her in a different way, and she appears to be recovering her love of learning and her natural curiosity. Moreover, other students are benefiting too from a “gifted cluster” where stronger students can work in groups and take on more challenging tasks. I am hoping for a great third grade, but I am not under an illusion that I won’t have to advocate for my daughter and for other gifted learners again. I think Intermediate Course in advocacy for gifted is just around the corner. Did you advocate for your child in school? Since we homeschool that's not as much of a problem, but I probably would be for Princess. The boys I'd probably be advocating for them more because they're boys, and I'd guess they'd have problems sitting still in class. From gleaning info from others, it seems like applying for Davidson Institute is the quickest way for getting support and back up. Friends have recommended it for K but I haven't had a great need to since we are homeschooling. If I were to send her to school, I would appreciate the support. K is more of a language based learner but I'm introducing her to algebra this year which she seems to enjoy more. I loved algebra as a kid so I'm excited! What a great post on gifted advocacy! It really makes it all hit home when we can see your first-hand experiences and outcomes with your gifted advocacy efforts at school. Thanks for sharing your experiences! I always tell parents of gifted kids that they have to be the experts! My son just started K and I am having the problem with him not being challenged. He doesn't say he is bored because he would sit and do work beneath him all day but then he is saying he doesn't want to go to school and I have to fight to get him out the door when he was running for the door last year. I have talked to the teacher and the principal and don't seem to be getting my message across. Do you think that it is much better in person then through phone or email? The teacher won't set up a meeting with me until October conferences unless I say I am unhappy. I don't want her to think that I am a problem but I want to get my son interested in school again...other than just the playground. Really like how you offer very specific examples of what did and didn't work. You highlight the dilemma most parents face in terms of how long to wait before intervening, not wanting to jump in too soon, but then regretting waiting too long. Great points. My 11 year old son is now in 6th grade - he had a wonderful Elementary school, who accelerated him a grade for math after 1st grade, so hardly any advocating was needed. The school he is now at has a specialized gifted program which he is in for all core classes. For math, he is in 8th grade accelerated. After 7 days of school, I got a call from the school counselor - apparently my son hadn't turned in 2 days of homework, and when asked about it, there were tears. Apparently they were reviewing 7th grade math, which they assumed he should already know, and thought that as he was struggling with work he had already done, he obviously had been placed in the wrong class. I assured the counselor that he had NOT already done the work, but he didn't seem to believe me. After a long e-mail to the math teacher, she then called me, and said "Oh, I see he was in regular 6th grade math last year...." Yes, Ma'am, he was. "So he's completely skipped 7th grade math - so doesn't know the work we're reviewing" Yes, Ma'am. "OK, we can work with that and help him out as needed". Thank you Ma'am. Since then, all has been well, and he's maintaining an A in math. The moral of this story - don't assume they know your child's history - they might think they do, but they probably don't ! !